The Curry House is one of the historic homes of a by-gone era, immaculately kept in a quiet, centrally located part of Old Town Key West. Lounge at the private, outdoor pool. Free WiFi access. Enjoy balcony views or relax at the outdoor seating area. The Curry House is located at 806 Fleming Street, Key West, FL 33040. This is a 6 minute walk from Duval Street and 13 minutes from Mallory Square. The Historic Seaport area is a 6 minute walk away. You can walk to Higgs Beach in 21 minutes and Smathers Beach in 45 minutes. Adult exclusive. NYAH provides guests with all the amenities of a modern hotel, while also breaking the barriers of an expected hotel stay. Share your needs and desires with them and they will adapt to meet your needs. Whether you are traveling in a group of 2 or 6, NYAH will configure the room to suit. NYAH also designed the hotel to encourage shared experiences and to create new connections. Meet fellow travelers pool side, or discuss the latest Key West happenings at their daily happy hour. 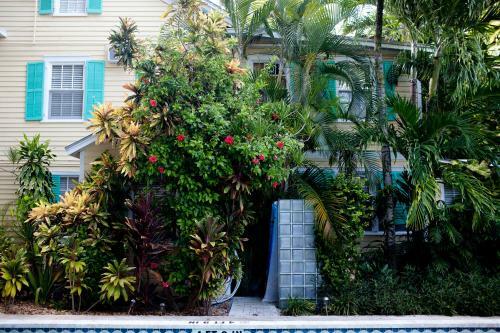 NYAH (Not your average hotel) is located at 420 Margaret Street, Key West, FL 33040. This is a 8 minute walk from Duval Street and 15 minutes from Mallory Square. The Historic Seaport area is a 5 minute walk away. You can walk to Higgs Beach in 23 minutes and Smathers Beach in 44 minutes. Clean, comfortable rooms at travel-friendly prices. You will be treated to complimentary parking and WiFi, 32 inch LED cable television, and a sunrise treat in the front office each morning. At Southwinds Motel, there are AAA discounts available, as well as a multilingual staff on hand to help you with anything you need. Living up to its name, a local favorite convenience store is just across the street. A patio, microwave, and refrigerator are included in all rooms. 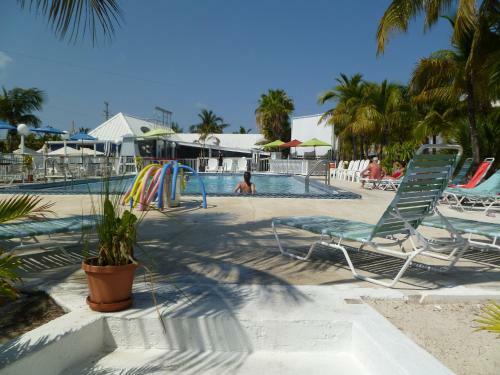 Southwinds Motel is located at 1321 Simonton Street, Key West, FL 33040. This is a 3 minute walk from Duval Street and 24 minutes from Mallory Square. The Historic Seaport area is a 20 minute walk away. You can walk to Higgs Beach in 12 minutes and Smathers Beach in 36 minutes. Never compromise on comfort when you stay at this plush Key West resort. From basic in-room amenities to the fitness center and magnificent pool, The Inn at Key West ensures that you are taken care of during your Florida Keys vacation. You will be surrounded by tropical, luxury decor. After a good nights sleep, you can enjoy breakfast in the casual open air cafe and take a plunge in the largest freshwater pool in Key West. The pool is surrounded by tropical gardens and a full service Tiki bar making for a truly memorable experience. The Inn at Key West is located at 3420 North Roosevelt Boulevard, Key West, FL 33040. This is a 57 minute walk from Duval Street and 66 minutes from Mallory Square. The Historic Seaport area is a 59 minute walk away. You can walk to Higgs Beach in 55 minutes and Smathers Beach in 47 minutes. Merlin Guesthouse Key West is located at 811 Simonton Street, Key West, FL 33040. This is a 3 minute walk from Duval Street and 15 minutes from Mallory Square. The Historic Seaport area is a 12 minute walk away. You can walk to Higgs Beach in 20 minutes and Smathers Beach in 45 minutes. Lighthouse Court is located in the heart of Key West, opposite the Ernest Hemingway Home and the Lighthouse & Keepers Quarters Museum. Guests can enjoy an outdoor heated pool, complimentary continental breakfast, and an on-site cafe. The Mojito Bar and Cafe serves light fare such as sandwiches, wraps, salads, and pizzas. Specialty tropical cocktails are also available. Free Wi-Fi and a flat-screen cable TV are included in all accommodations at Lighthouse Court. Lighthouse Court Hotel - Key West is located at 902 Whitehead Street, Key West, FL 33040. This is a 3 minute walk from Duval Street and 15 minutes from Mallory Square. The Historic Seaport area is a 17 minute walk away. You can walk to Higgs Beach in 22 minutes and Smathers Beach in 47 minutes. 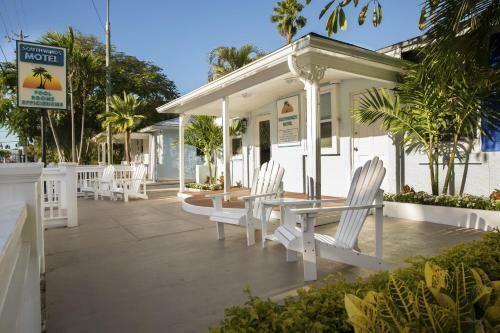 This adult-only Key West, Florida bed and breakfast is just three blocks from the Butterfly and Nature Conservatory. This inn features an outdoor heated pool, continental buffet breakfast, and free WiFi. There four different room types to choose from. While all rooms feature the same amenities, including private bathrooms, and mini refrigerators, they are all quite unique, each with its own personality. 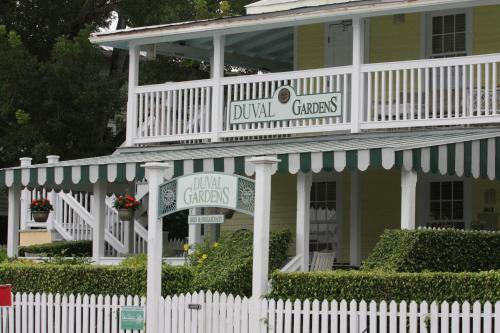 Duval Gardens is located at 1012 Duval Street, Key West, FL 33040. This is a 0 minute walk from Duval Street and 17 minutes from Mallory Square. The Historic Seaport area is a 17 minute walk away. You can walk to Higgs Beach in 19 minutes and Smathers Beach in 43 minutes. An artful arrangement of cigar makers cottages, each meticulously renovated into one and two bedroom units. Additional suites are located in two authentically reproduced Bahamian-style houses with vine covered porches, sundecks and shaded balconies. Simple, elegant and tasteful best describe the impeccable interior decor. Classical and contemporary influences meld, with an emphasis on light oak, natural fibers and marble. Soothing shades of beige and gold complement the fine though functional furnishings and subtle botanical prints. French doors open wide to let in the Key West sunshine. Adults only. Paradise Inn is located at 819 Simonton Street, Key West, FL 33040. This is a 3 minute walk from Duval Street and 16 minutes from Mallory Square. The Historic Seaport area is a 12 minute walk away. You can walk to Higgs Beach in 20 minutes and Smathers Beach in 44 minutes. The Grand Guesthouse rooms are comfortable, sparkling clean, and all have private bathrooms and entrances, queen size beds, A/C & ceiling fans, cable television, telephone service with free domestic long distance, iPod, iPhone, and CD players, a small refrigerator, and are non-smoking. The suites feature a queen bedroom which opens into a separate dining and seating area with a kitchenette. We also have free parking and high speed wireless internet. Adult only. The Grand Guesthouse is located at 1116 Grinnell Street, Key West, FL 33040. This is a 12 minute walk from Duval Street and 26 minutes from Mallory Square. The Historic Seaport area is a 20 minute walk away. You can walk to Higgs Beach in 11 minutes and Smathers Beach in 34 minutes. 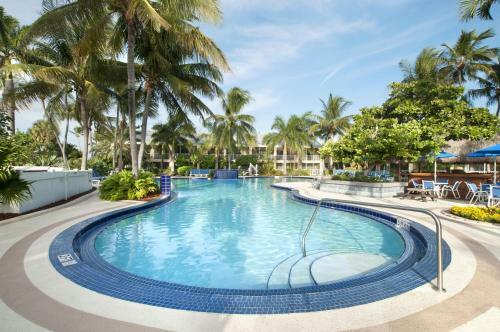 Offering an outdoor pool, this historic hotel is a short walk from the Key West seaport. Features include free WiFi, garden, and rooms with a kitchen. The Island City House Hotel is the oldest operating guesthouse on Key West. It is comprised of three buildings: the Carriage House, the Island City House and the Cigar House. Each building lends its own unique history and style to the property. Island City House is part of the Key West Historic Marker Tour. Island City House is located at 411 William Street, Key West, FL 33040. This is a 6 minute walk from Duval Street and 13 minutes from Mallory Square. The Historic Seaport area is a 3 minute walk away. You can walk to Higgs Beach in 23 minutes and Smathers Beach in 45 minutes. Ibis Bay Resort is located at 3101 North Roosevelt Boulevard, Key West, FL 33040. This is a 48 minute walk from Duval Street and 55 minutes from Mallory Square. The Historic Seaport area is a 49 minute walk away. You can walk to Higgs Beach in 46 minutes and Smathers Beach in 41 minutes. Offering a private beach area and a restaurant, this Key West property is located off US Highway 1 less than 5 minutes’ drive from Key West Tropical Forest and Botanical Garden. Free WiFi and a full kitchen in all villas. Key West Harbour Oceanfront Suites is located at 6000 Peninsular Avenue, Key West, FL 33040. This is a N minute walk from Duval Street and minutes from Mallory Square. The Historic Seaport area is a N minute walk away. You can walk to Higgs Beach in N minutes and Smathers Beach in minutes.